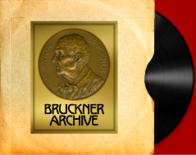 When the Bruckner Society of America resumed activity after its 10 year hiatus, one of the biggest losses noted was the disappearance of its files (dating back to the 1930s). One of our primary activities of late has been to track down items from our history. Fortunately we have all of the Society's publications and "Chord and Discord" continues to provide a weath of information about our past. Minneapolis Symphony Orchestra, Eugene Ormandy, conductor. January 17, 1936. 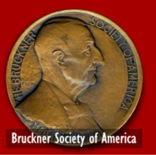 For this manifestation of zeal, as well as for the recorded performance of the work, Mr. Ormandy was presented on this occasion with the medal of the Bruckner Society of America, bestowal being made in a brief and particularly happy speech by Elbert L. Carpenter, President of the Orchestral Association of Minneapolis, Inc. In responding, Mr. Ormandy paid special tribute to his colleagues of the orchestra. The performance on this occasion deserved all that could be said in praise. 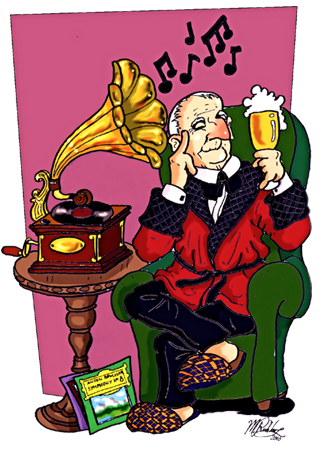 At least one listener felt that if the composer had always been so appreciatively, clearly and dramatically dealt with by conductors, there might perhaps have been no need of organizations to promote his popularity.